Winters in Beijing are brutal. One day, the city can be shrouded in an intense smog that often disrupts daily activities. The next day might bring clearer skies, but at the hands of bitter northern winds that make the air both colder and cleaner. 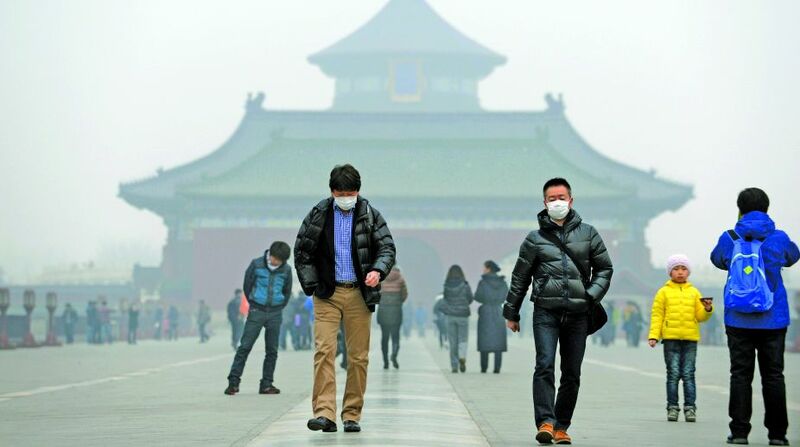 The Chinese government is feeling extreme pressure to clean the air. This is a health issue and the Chinese people are demanding a solution. China is making moves to streamline and simplify its car industry. The Chinese government is trying to merge smaller auto makers as well as phase out many superfluous vehicle models. China uses an efficient numbering system to label new versions of cars. Even when manufacturers make small changes and improvements, the new vehicle gets a unique number. This simple and centralised organization enables China to announce such a large phase-out. Ever since President Trump backed the U.S. out of the Paris climate agreement in 2017, many have been looking to China as the new world leader of climate change policy. China is the world’s biggest auto market, adding 28 million vehicles to the market in 2016 alone. Meanwhile, the US is taking historic steps backwards on emissions and climate issues. China is pushing forward, and their automakers are stepping up as well. In the past, China was hesitant to implement strict measures that could harm the auto companies. Now, however, they have devised a system and are pushing ahead. The Chinese government is already a major patron of electric cars. To help the auto companies, they have pledged a tax benefit for purchasing electric vehicles that will extend through 2020. The push for clean-energy vehicles is just a piece of the larger Chinese agenda to lead the world in climate change policy. The Chinese government recently announced an ambitious carbon trading market which was intended to be opened by the end of 2017. It seems now the plan will need to be simplified to get it started, but China still seems committed to the idea. With the European Union’s carbon trading market and China’s proposed market, a very large percentage of the world’s emissions will be incorporated into these markets. This plan will incentivise companies across all industries in China to think green. The proposed Chinese emissions trading scheme will provide further support for electric vehicles and strict emissions standards. China will likely continue to push its auto industry in a cleaner direction. Through its commitment to curbing climate change, China will reduce its own impact while also paving a path for others to follow. China’s projected Emissions Trading Scheme (ETS) gives China the tools to assure that they honour the pledges they made in the 2015 Paris Agreement. The government will set emissions limits for companies. If the company manages to beat the emissions expectation, it can sell its excess emissions credit for profit. The government plans to lower the limits gradually over time to force Chinese industry to become cleaner. The trading scheme will initially start with the power sector and then gradually expand to other industries such as aluminium and cement. By the time the ETS program is fully implemented in 2020, experts believe the plan will cover about 15 per cent of the world’s emissions. The plan could also make China’s peak emissions levels occur sooner than the 2030 date set in the Paris agreement. Even though there is not yet an announcement for when the market will be up and running, it provides a framework for China to deliver on the promises it made in Paris. There is also speculation that China’s ETS could be linked with the EU’s ETS system. Europe’s ETS is much smaller than China’s proposed one, but linking the two programs would undoubtedly have significant impact on reducing global carbon emssions. The writers are, respectively, a student of Tulane University, USA and a professor of law at Jindal Global University, Sonipat.